Recipe from Australian Women Weekly (AWW) magazine Aug 2010.
" 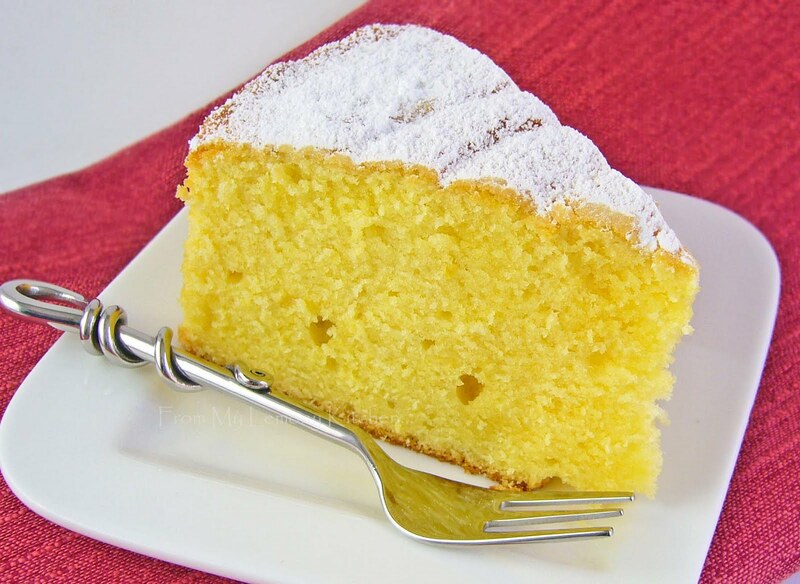 A heavenly butter cake with a bonus of the zesty flavour of lemon. It's rich, moist, buttery and cuts and keeps well. What more could you ask for?" Preheat oven to 160C and grease a deep 25cm round cake and line with baking paper. Beat butter and sugar until light, creamy and fluffy. Beat in the eggs one at a time. Stir half of the sifted flour and half of the sour cream... mix in well and repeat with remaining flour and sour cream... mix in again until smooth. Spread onto pan and bake for 1 hour and 15 minutes or until skewer inserted came out clean. Stand the cake for 10 minutes before turning top-side up...onto wire rack to cool. I love the colour of this cake! The cake looks so yummy! I love sour cream in cakes and would love to try this one. I am bookmarking your recipe. I adore cakes with sour cream and citrus, perfect combination! My first time heard about sour cream in cakes... I'm glad I baked it.. This looks so freakin good! I can see the density in this cake. A beautifully risen lemony cake!